It may be difficult to get your children excited about taking care of their teeth. But brushing and flossing everyday is important. The regular dental check ups are necessary, but the majority of oral health care is preventative and needs to happen at home. If you have children that refuse to brush their teeth, these tips can help. Children usually enjoy games. Turning brushing your teeth into a game can help make it more fun. Instead of waiting until right before bedtime, you can create a clever way to encourage your children to brush their teeth after dinner. This way they will have clean teeth sooner. Children want to be involved and make “grown up” choices. If your child is at an age and old enough to go to the store and pick out a toothbrush, give them this opportunity to come with you. It can be fun to teach them how important it is to take care of their health. It will also give them an opportunity to feel more responsible and connected to what they are doing. Your child will feel part of the process and may enjoy brushing their teeth more. Children who brushing their teeth alone do not so it long enough. Instead spend time with them and do it in person together. Ask your children if they are interested in being rewarded for having good teeth. Treat your child by celebrating with a new toy or new sticker. Don’t reward your children with sweets as candy food can cause cavities. 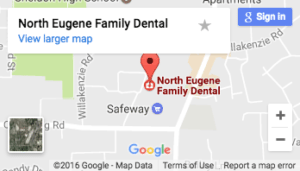 You children want to look up to you, and teaching them about good oral health habits and take them to Eugene pediatric dentist Dr. Kirchmeier with you, is a great way to connect with them.